Global Cooling? Pick a Time, Any Time. | Fresh Air. The Scent of Pine. I don’t think that anyone disagrees with the fact that we actually are in the middle of a cold period that started about nine years ago. Now that’s not me talking. Those are the scientists who say that. 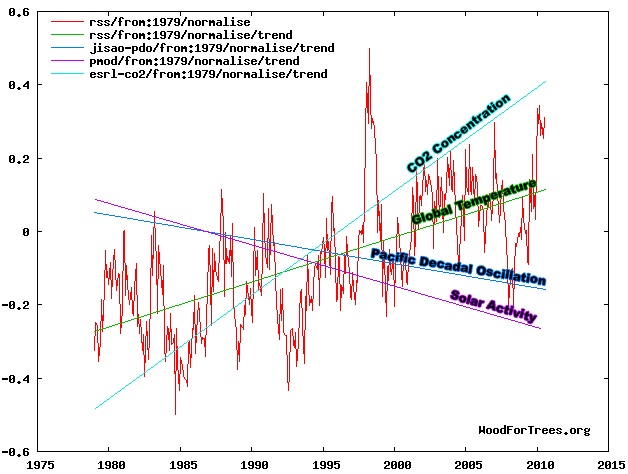 There has been global cooling for the last eight or nine years, statistically significant and rapid cooling. Since the turn of the millenium on the first of January 2001, the trend of global temperatures has been a down trend, not a very significant down trend, but it certainly hasn’t been an up trend. 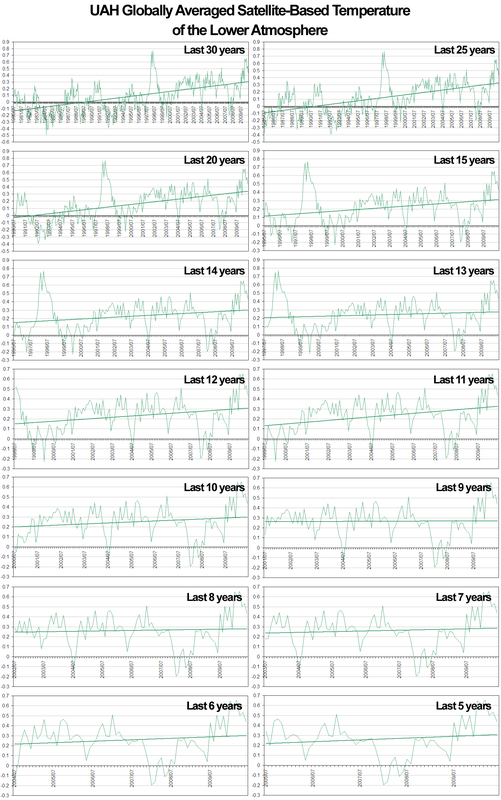 The University of Alabama at Huntsville’s recently-revised satellite record since the turn of the millennium on 1 January 2001…shows a slight warming trend in global temperatures over the decade. The number of years always varies. Sometimes it will be “since 1998”. Other times it will be “this century” or “for the last ten years”. Except now, it doesn’t matter what number is selected. With NOAA reporting that global temperatures for the the first six months of 2010 were the warmest on record, every time period over the satellite record that starts with a point from 1979 onward and ends at the present shows a warming trend. Rising temperatures over the last year? Check. Last three years? Check. Last five years? Check. Last 10? 15? 30? Check. Check. Check. Of course, arbitrarily selecting a starting point for a temperature trend has always been a specious argument. Year-to-year variation in temperatures is more a factor of weather resulting from variability in short term conditions, noise within the longer term climate signal. 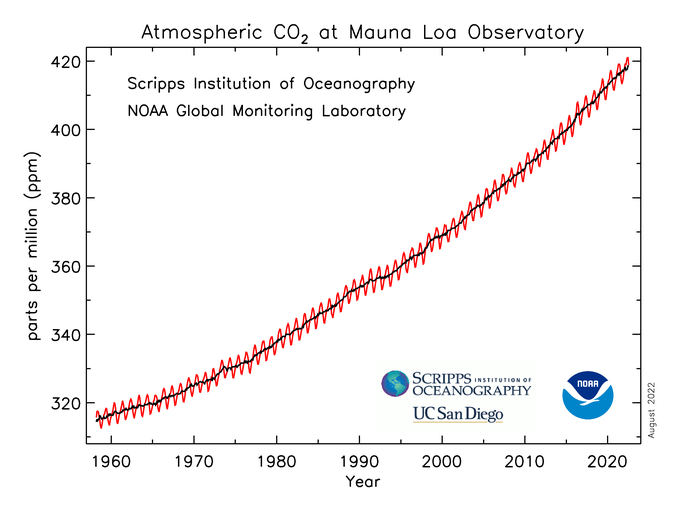 Climate is about trends over longer periods. The National Climatic Data Center (NCDC) utilizes a standard 30-year-period to define a “climatological normal”. And, as you can see from the satellite temperature records below from the University of Alabama, Huntsville, the 30-year signal is unmistakable. 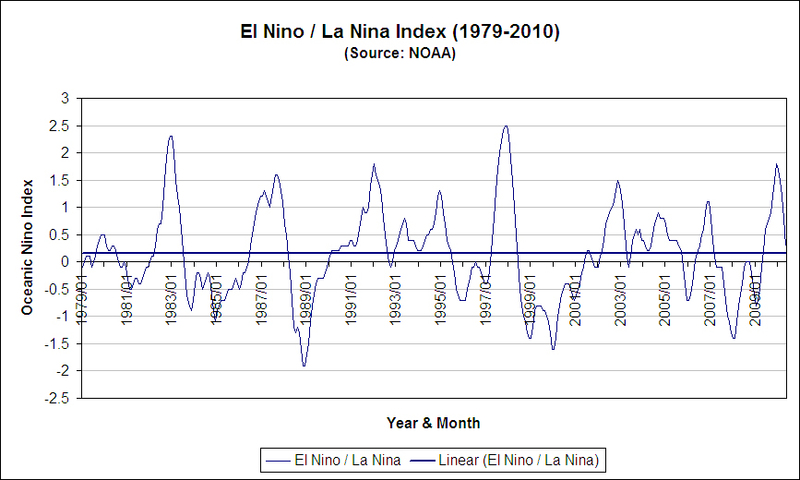 But, it is interesting to note that, even with cherry-picking a start date such as the “El Nino of the Century” in 1998 or a sub-decadal period within the last 10 years, all of them now show an increase, even if slight. 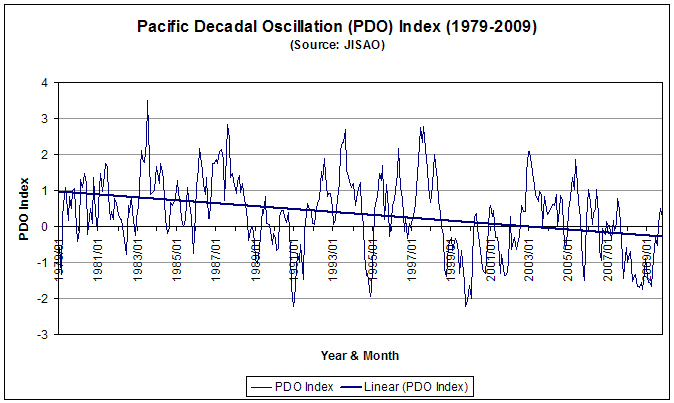 This peak condition has arisen despite the Sun just barely emerging from a solar minimum that saw the quietest period in almost a century, a steady 30-year El Nino / La Nina index, and a cooling Pacific Decadal Oscillation (PDO). It’s also worth noting that this trending condition will not last. Following every peak, there is a valley, no matter how shallow or how short term, and those committed to inaction will always exploit such variability to break out the parkas, build igloos, and call “global warming” a hoax. Coincidentally, on Saturday, the day after Senator Inhofe was quoted by ABC News, temperatures in the Washington D.C. area hit 101o Fahrenheit, a record high.